1992 1993 1994 1995 1996 Mitsubishi 3000GT Factory Service Repair Manual covers all the repair procedures you will ever https://www.tradebit.coms service manual is also used by the mechanics from you local service. 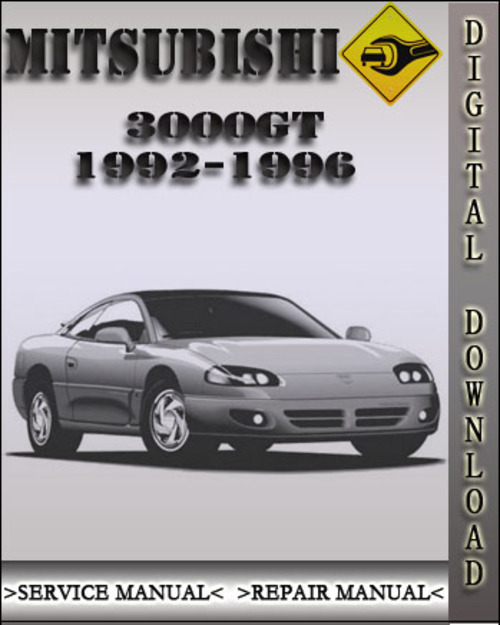 This is the official complete service repair manual for the 1992-1996 Mitsubishi 3000GT. This manual is digitally delivered, there is not shipping cost. This manual is in PDF https://www.tradebit.com open the manual you need any pdf reader.